What are the next steps in Poseidon’s Approval Process? The above dates are likely based on the latest information we have received. Steve Bone’s article in OCR outlines why it does not make sense for rate payers. A study commissioned for Municipal Water District of Orange County show Poseidon is the worst option. The next step for Poseidon to get approval to build HB Desal plant is to get approval to not support the CA Desal requirements. However, they are having problems with coming up with reasons why they should not be subject to the requirements. As a result, the Dec 7th hearing is cancelled. Info. The OC Register had an article summarizing MODOC’s draft analysis of future water demand. 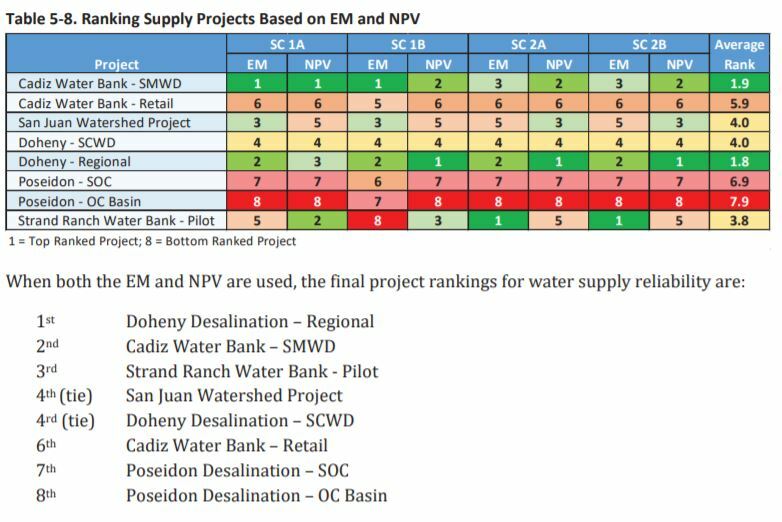 Of note, Poseidon (the planned HB Desalinization Plant) was the least cost effective and most financial risky of all other possible options to reduce future risk of water shortage. OC Register article can be found here. 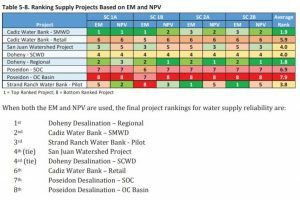 Garry Brown writes a great commentary about why Doheny is the correct way to do desal vs Poseidon. Article can be found here. “It’s all about smoothing the seasonable differences. If we can take advantage of the enhanced winter rainfall, we can hopefully get through the drying trends the rest of the year.
. Based on Allen’s comment, we should be storing the water we have and not building a desal plant which will increase CO2. On July 18th the OCWD Directors approved the 2018 Term Sheet to purchase desalinated water from Poseidon Resources. If you are as mad at the slim majority of Directors who voted for “approval” as I am, I sympathize with you. Where will Poseidon water go? It has been two years since OCWD last tried to figure out what to do with Poseidon’s water. Have heard nothing more….Here is the link. CoastKeeper put together this great video outlining the Problem with Poseidon. Marco Gonzalez has a great commentary in the SD Union Tribune. You don’t have to look too far for proof that Poseidon will be an unreliable partner. Newsdeeply has a great article about storing water during rainy years. See it here. Interesting Article by Tony Davis. Justin Fox posted an article on Bloomberg View about why desal does not make sense. Whenever there’s a drought in California, a seemingly obvious source of new water supply beckons. The state abuts a giant ocean. Why not just take the salt out of some of that seawater? It’s the high-tech, forward-looking thing to do, right? It’s also the really expensive thing to do. A new report shows strategies developed and mistakes made during Australia’s decade-long millennium drought provide a powerful resource for California, as the state enters its fifth year of severe drought. The report can be found here. The LA Times article can be found here. The Voice Of San Diego has a great article about the misleading (possibly lie) Scott Maloni said at an OCWD meeting regarding desal water being dumped in a lake. “The $1 billion desalination plant coming online next month in Carlsbad will fit right in with years of careful planning and investment in water supply in San Diego County. It will also worsen a peculiar San Diego problem amid a multi-year drought — oversupply of water.